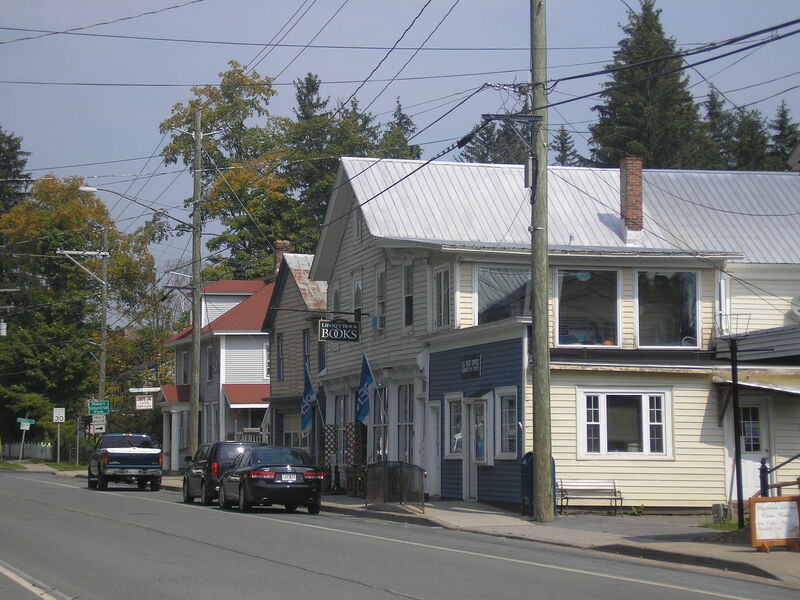 When Adams’ Antiquarian Books opened its doors in Hobart in 2002, who would have thought that this tiny Catskills village would become an international destination in such a short span of time? Featured in prestigious publications like The New York Times, New York Magazine, The Guardian in the UK, and just recently mentioned in a USA Today travel article, Hobart has increasingly become a brand name for travelers from all over the world. Earlier this year it was awarded the Tourism of the Year Award by The Delaware County Chamber of Commerce. 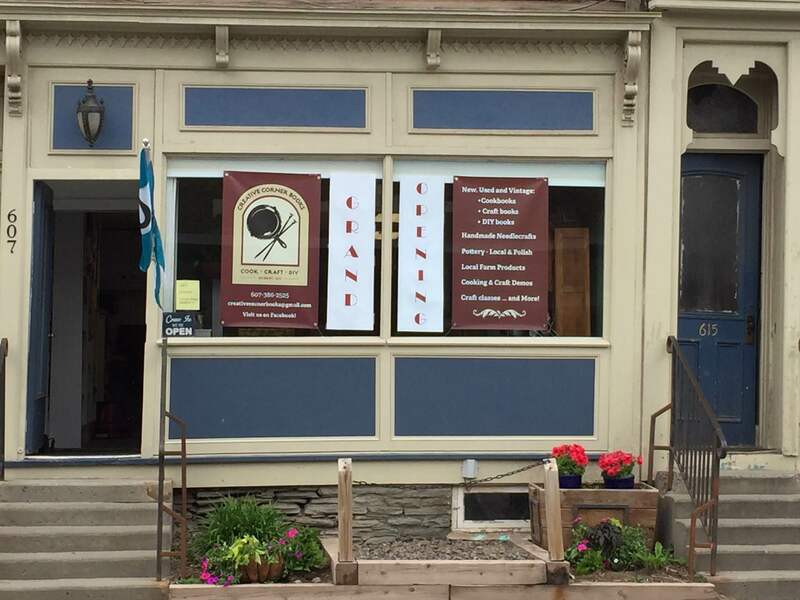 In 2005 pianist, furniture restorer, and entrepreneur Don Dales bought several buildings in town, and after acquiring entire book collections from bookstores that ran out of business, he opened two independent bookstores on Main Street. 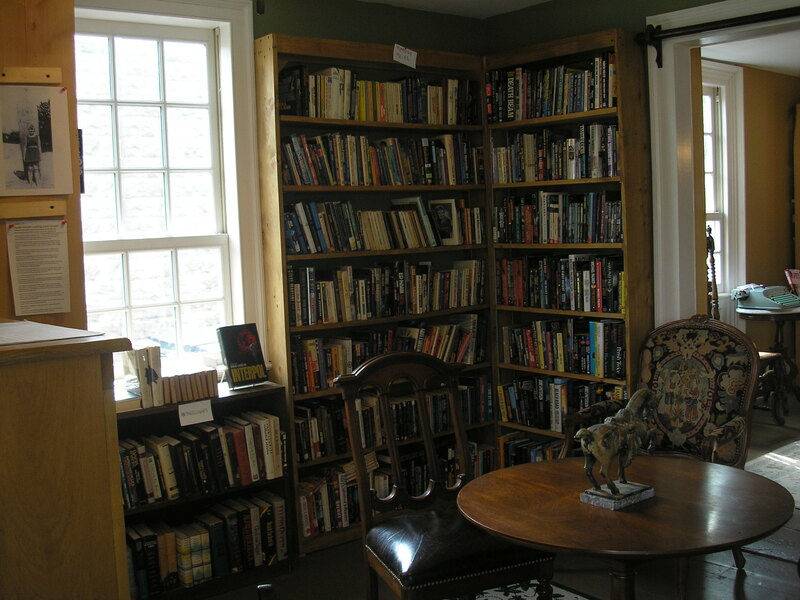 The Adams’ Antiquarian was already in business for about three years, and Dales thought that perhaps Hobart would one day become a “book village,” similar to Hay-on-Wye, the world’s first book town, established in Wales in 1961. Owned by William Adams, a retired physician, and his wife, Diana, a retired lawyer, The Adams’ Antiquarian Books has an impressive collection ranging from ancient Greece and Rome, to the Middle Ages, Renaissance, Art, Architecture, Religion, Judaica, Poetry, Biography, and Fiction. Not all the Adams’ books are antiquarian, but most of them were either printed before 1850, or are about events that happened prior to 1850. In August 2007, Elda Stifani, a retired diplomat who worked for the European Union in New York City, moved to Hobart and opened Hobart International Bookport, which specialized in foreign language books, and books by authors from all over the world, in English or in the original language as well as aviation books. In 2014 Hobart International Bookport, under new ownership, became Butternut Valley Books. Across the street, Liberty Rock Books offers a wide range of rare books spanning three hundred years of history. The store, which also has an art gallery, hosts numerous events throughout the year, including lectures and jazz concerts. Right next door, Barbara Balliet, a cultural historian, and her partner poet Cheryl Clarke, own and operate Blenheim Hill Bookstore since 2009. They carry history books, poetry, women’s studies, nature and gardening, cookbooks, children’s books, and other illustrated books. Don Dales continues to operate Mysteries & More, and as its name states, the bookstore specializes in mystery and science fiction titles. 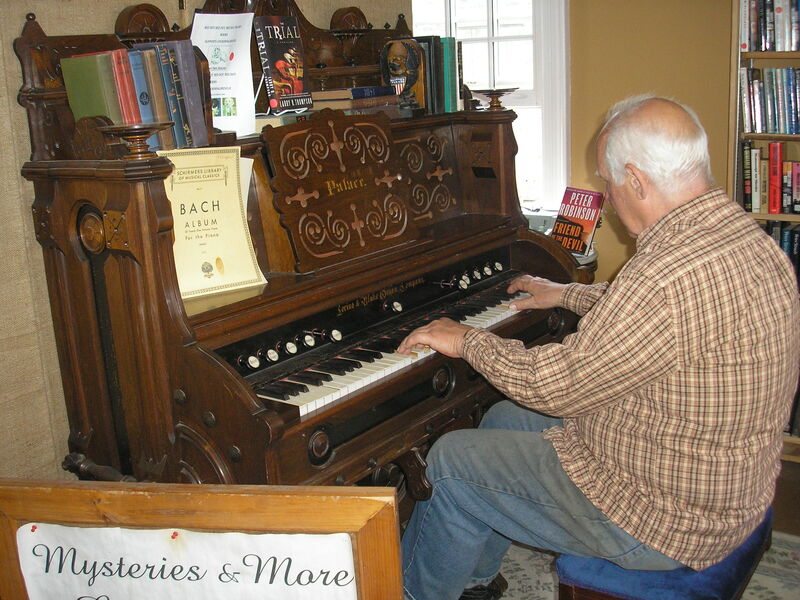 Located in a classic Greek Revival building erected in the 1830s, and recently restored, the store transposes its visitors into another era: an original Loring & Blake Palace organ, made in the late 1800s, a reproduction of a harpsichord, and a typewriter from the 1950s add to the mystic. This house was once owned by A. Lindsey O’Connor. On May 7 this year yet another bookstore opened its doors in Hobart: Creative Corner Books. 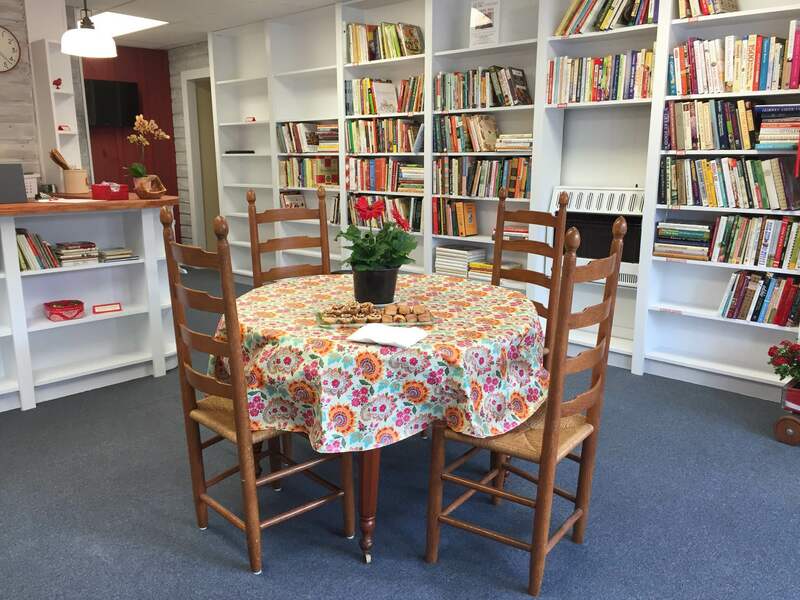 Owned and operated by Kathy Duyer, a lawyer, and her husband, George, Creative Corner specializes in cookbooks, craft books, gardening, and do-it-yourself books. The store will also be hosting workshops and other community events. At Creative Corner you won’t just buy books – say on weaving, you’ll also learn how to weave from master artisans. Creative Corner Bookstore. Contributed Photo. At Creative Corner Books. Contributed Photo. Memorial Day weekend is a busy weekend in Hobart. All five bookstores will be offering major discounts. Art shows will be hosted at MURAL Art Gallery and Liberty Rock. And a new restaurant just opened in town. In July an English pub is scheduled to open. Things are happening in Hobart. Learn more at http://www.hobartbookvillage.com. Hobart, the Book Village of the Catskills, home to six independent bookstores, is hosting its traditional annual Thanksgiving Weekend Sale, this Friday, Saturday, and Sunday from 10 am to 5 pm. Each bookstore has a unique vibe, and a distinctive focus: Adams’ Antiquarian specializes in rare and old books, Liberty Rock Books specializes in art and music titles, Blenheim Hill bookstore specializes in classic children’s literature and African-American titles, Mysteries & More specializes in science fiction books, and Butternut Valley specializes in fiction, maps, and ephemera. The newest addition to the village is Around the World with Books and Cooks, a store dedicated to cookbooks and titles in foreign languages. For more information, visit http://www.hobartbookvillage.com/. Wired Gallery in High Falls is hosting a novel art show called “Collectors Curate,” opening reception Saturday, November 28 at 5 pm. Four collector teams will discuss works by artists of their choice including Jan Muller, Anna West, and Tim Rowan. Collectors Christy and Jamie McDougall, for instance, explain why they cherish the work of Tim Rowan, a ceramics artist based in Stone Ridge: “We love Tim Rowan’s work because it takes the delicate ceramic medium and gives it mass and strength; it makes you believe that it’s carved stone, or even metal. We love that his pieces make you look twice, compelling you to feel the texture and try to get to know them while you become absorbed in all the tiny details that the clay delivers.” The show remains on view through February 7, 2016. For more information, visit http://www.thewiredgallery.com/. Basilica Farm & Flea in Hudson is hosting its third annual Thanksgiving Market Friday from 2 to 5 pm, and Saturday and Sunday from 10 am to 6 pm. Over one hundred farmers, crafters and collectors will be offering a variety of products, and hosting numerous tastings and workshops. For more information, visit http://basilicafarmandflea.com/. And, Hobart Book Village of the Catskills is hosting an Author Signing Day on Saturday. Founded in 1919, Woodstock Artists Association and Museum supports and showcases the works of local artists. The museum is open year round with permanent and temporary exhibitions in all media. This Saturday, September 6 artists are invited to submit works for a new show called “In the Realm of the Senses,” juried by Judy Sigunick, a ceramicist and printmaker. For information about submission guidelines go to http://myemail.constantcontact.com/Intake-for-New-Shows-This-Tuesday-September-2.html?soid=1101793785598&aid=LBZnlzhWeKM. For more information about Woodstock Artists Association and Museum, visit http://www.woodstockart.org/. Founded in 1961, Saratoga Performing Arts Center (SPAC) hosts world-class performances every year throughout the summer. This weekend, SPAC will host its 14th annual Saratoga Wine & Food Festival, featuring more than 250 fine wine and food exhibitors. An auto field set nearby will have on display collectible Porsche, Jaguar, and Shelby Cobras. For more information about the festival, go to http://saratogawineandfood.com/. Still in Saratoga, the National Museum of Dance is having an open house this Sunday, September 7, from 12 noon to 5 pm. Founded in 1986, the museum hosts an array of photographs, videos, costumes, artifacts and documents that illustrate all forms of dance throughout history. Since 1992 the museum has had its own school of dance, whose studios will be open this weekend. The museum, founded by Cornelius Vanderbilt Whitney and his wife Marylou, is housed in the historic Washington Bathhouse, built in 1918 in the Arts and Crafts architectural style. For more information, visit http://www.dancemuseum.org. The Fisher Center at Bard College presents outstanding theatrical and classical music performances, and brings leading artists to the Hudson Valley area spring, summer, and fall. The Center also has a residency program called Live Arts Bard (LAB) for performing arts professionals to test ideas, and develop new projects. To view the fall program go to http://fishercenter.bard.edu/fallevents/. 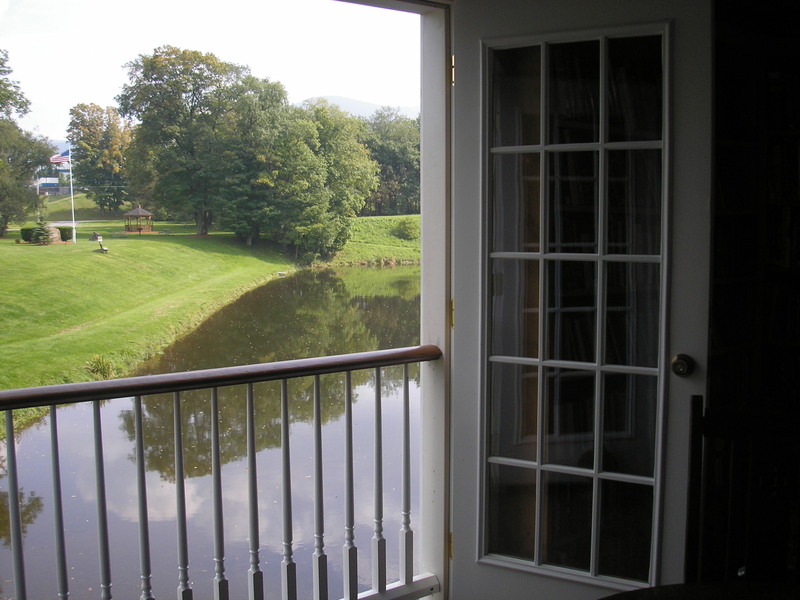 Have an artful Catskills weekend!